Getting a MBA degree from one of the top business colleges can give your entrepreneurial career a head start. They combine expansive curriculum with state of the art infrastructure, completely preparing students to enter the business world, which are just a few reasons why you should get an MBA. If you would like to be one of these students, check out the top colleges that offer Master of Business Administration degrees. Located in Washington, D.C, The George Washington University School of Business offers five different MBA programs: global MBA, professional MBA, online MBA, World Exec MBA and Healthcare MBA. On top of that, MBA students work with the F.David Fowler Career Center to get lucrative summer internship and employment placements. Certainly, The George Washington University School of Business is an appropriate option for students with an entrepreneurial spirit. Carnegie Mellon’s Tepper School of Business offers one of the top MBA programs in the United States. The school prizes collaboration, humility, confidence and a passion for problem solving. The MBA program at Carnegie Mellon is one of the top picks for recruiters to search for the talent they need. This makes it one of the best programs out there to ensure you get a job before you even graduate that allows for plenty of exciting business trips. You can choose from three MBA program formats, including full-time MBA programs part-time online MBA programs and part-time, on-campus MBA programs. No matter how much time you can dedicate to pursuing your degree, Tepper School of Business at Carnegie Mellon University offers one of the best business colleges to consider. The MBA program offered by the Yale School of Management offers the skills and knowledge students need to excel in global markets. Studying at Yale School of Management, students develop a clear idea about how markets work. Students are encouraged to find out answers of complex business problems. Through its unique ‘raw’ case approach, the Yale School of Management’s MBA program develops the decision making ability. Emphasizing how to solve complex problems, the Yale School of Management is a popular business college entrepreneurs. Another one of the top business colleges in US, the Tuck School of Business at Dartmouth College offers a single full time MBA course. This MBA course offers an excellent global learning opportunity using team based project work. The comprehensive curriculum of this MBA course includes innovative topics like leading organizations, decision science, analysis for general managers and more. It also covers more traditional topics too, like press kit examples. For students who want to develop their leadership strengths, Tuck School of Business would be an ideal shool for acceptance. Considered one of the top colleges in US, MIT Sloan School of Management’s MBA program stands out because of its uniquely designed curriculum. This well recognized MBA program combines collaborative projects, live case discussions and detailed case studies. Not to mention, it offers an exceptional learning experience. Certainly, their strong focus on both macro and micro business concepts has made the college exceptionally popular. The Stanford Graduate School of Business has topped many best business college lists. Using the sheer power of innovative curriculum and brilliant professors, the program focuses on managerial solutions, leadership skills and entrepreneurship. Standford also many concentrations for their MBA majors, which is excellent. Above all, this world-class university will allow you to reach your full potential in business. What is a list of the best business colleges without Harvard? The Business School at Harvard University offers many excellent benefits in addition to its outstanding reputation. You can choose from a long list of concentrations including, but not limited to, not-for-profit management, international business, sports business or organizational behavior. This business college allows students the opportunity for experiential learning, which is priceless in the business world. If you want to attend the best business college and, perhaps, the best university overall, consider Harvard Business School. The top colleges for an MBA allows students to get their entrepreneurial career moving in the right direction. 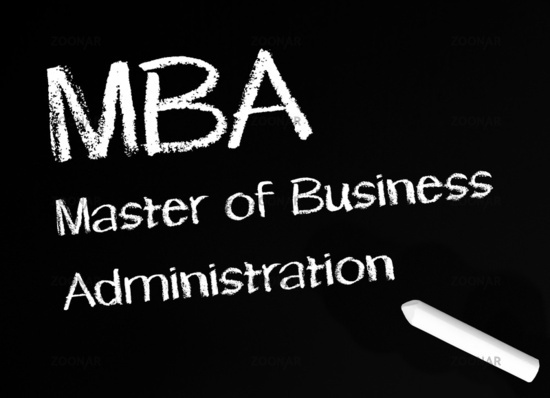 Of course, getting accepted into a top MBA business school can be difficult yet rewarding. But, no matter whether you own a business manufacturing hearing aids or selling golf equipment, having an MBA will give you a leg up on the competition. Once you are accepted, any of these colleges will give you an abundance of opportunities to be successful in business.